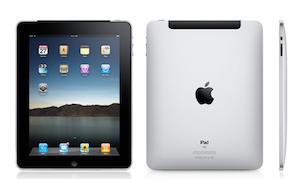 Might The iPad And iPhone HD Be Apple's Parting Gifts For AT&T? The rumors keep circulating. The latest came yesterday when the Wall Street Journal reported that Apple was working on a CDMA version of the iPhone. To most people, that means one thing. No, not a Sprint version of the iPhone (though I suppose that’s possible too), a Verizon version of the iPhone. The problem is that these rumors have been circulating almost as long as the actual iPhone itself. And the WSJ report isn’t exactly a slam dunk by only citing the ever-anonymous “people briefed by the company.” But, more so than ever, the timing does appear to be right for Apple to break its AT&T exclusivity. First of all, this Verizon iPhone would not launch alongside the other new iPhone hardware due this Summer. The WSJ report has manufacturing on the CDMA iPhone ramping up in September, but also notes that the phones may not be available to consumers immediately. This means at the earliest, we’re looking at a Fall release, or possibly even a holiday release for the device (if not later depending on several factors). That means that AT&T would still get the supposed “iPhone HD” all to itself for several months at least. Then you’d have to wonder if Apple would dare announce that it would be bringing the iPhone to other carriers “later this year” at its WWDC event (where it traditionally launches the new iPhone hardware)? If they did that, they risk people sitting out for several months, waiting for the Verizon version to hit before buying an iPhone. They’d be putting customers in a tight spot: do you upgrade to the sleek new hardware now, locking yourself into a new 2-year contract with AT&T? Or do you wait? If Apple in in fact planning a CDMA version of the iPhone, I wouldn’t be surprised if they don’t say anything about it at WWDC. Apple is also giving AT&T a nice little present in the form of the iPad . While the version hitting stores this Saturday will not have 3G connectivity, the one coming at the end of April will. And yes, it will be exclusively provided by AT&T. There was some speculation leading up to the iPad launch that it may launch with Verizon connectivity, but the chances of Apple building a second CDMA version of the iPad anytime soon seem pretty slim at this point. Especially with AT&T giving them an unheard deal for customers: $15 for 250MB-a-month of data usage and $30 for unlimited data. As anyone with a 3G card will tell you, this is basically half-off of the normal data rates the carriers charge. Apple is not stupid. They hear all of us bitching about AT&T’s sub-par service, and word is that they’re not too happy about it either. But the fact of the matter is that because of the exclusive agreement, AT&T is paying them a ridiculous fee for each iPhone solid — something to the tune of $600 a phone. At the end of the day, that equals billions of dollars in revenues for Apple. If Apple were to branch out to other carriers, this deal would likely have to be renegotiated because Verizon has some leverage as the nation’s largest carrier and probably won’t give Apple the same kind of deal. So despite all of our bitching, Apple is only likely to move beyond exclusivity if it makes sense for the bottom line. That is, if Apple feels like the iPhone can’t grow any further in the U.S. under one carrier, they will extend it to others. Or, if Apple feels that Android is gaining too much momentum because it’s on several carriers, they will extend it to others. The latter appears to be starting to happen, while the former is still unclear. At one point, it was believed that Apple would wait out going to multiple carriers in the U.S. until the 4G networks (which will be a much more unified technology) were ready. But as the WSJ article states, delays in that process may have forced them to change their minds. So perhaps Apple is dangling the iPad and early access to the iPhone HD as signs of good faith towards AT&T. Maybe they want the carrier to know that even though the time of exclusivity is coming to an end, they intend to give them certain perks in exchange for keeping the same terms of their current deal. Imagine for a second that the iPhone is available on AT&T and Verizon — but AT&T gets access to the new hardware several months before Verizon. You might think most people would wait to buy the new iPhone, believing Verizon is the better network. But going forward, once Apple initially offloads a few million customers over to Verizon (which I don’t think is an unreasonable number for how many current iPhone owners would switch if given the option), some of AT&T’s horrific networks problems (which are related the the network being under too much strain) may be miraculously solved. It seems like a win-win for everybody. Or at least Apple will paint it that way. And, as usual, they will be the real winner in the end.